Rene Estrada, 58, of Bryan passed away Saturday, September 1, 2018. Funeral Services are set for 10AM Saturday, September 8 in the Abundant Life Assembly Of God of Bryan with burial to follow in the Bryan City Cemetery. Visitation will be from 5-8PM Friday September 7 in the Chapel of Trevino-Smith Funeral Home. Born June 26, 1960 in Galveston, Texas he was the son of Ninfa (Caballero) Flores. 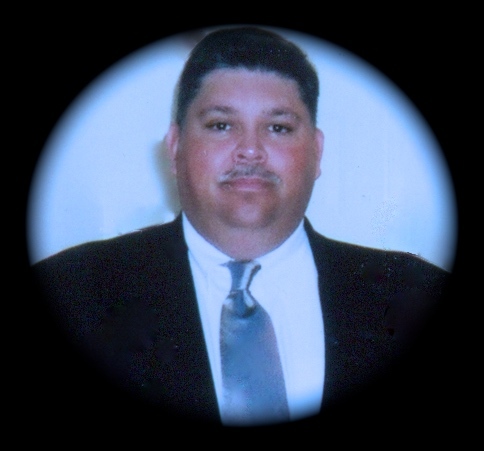 Rene loved music and playing his guitar, he was in a band called Joyful Noise Ministries. He loved God with all his heart that he became a Chaplin and formed a Gospel Ministry. Rene worked ten years at the Astrodome, seven years for the post office, and ten years at St. Joseph Hospital, one year with the College Station police department and six years for the Brazos County Sheriff’s department. He was a loving husband, father, son, brother and friend and will be missed deeply by all who knew him. He is preceded in death by one brother, Lalo Flores. Rene leaves behind to Cherish his memories, his loving wife, Judy Estrada; three sons, Nathan Estrada and wife Heather, Marcus Estrada, and Matthew Estrada and wife Brittany; a daughter, Cyndi Estrada and Matt; his mother; two brothers, Edwardo Flores Sr., and Eric Flores and wife Lisa; a sister, Angelina Flores; four grandchildren, Raiden, Remington, Rock, and Alexandria; and numerous aunts, uncles, cousins, nephews and friends.